Short sales are always subject to lender approval of the contract. 1. What Is a Loan Contingency? 2. What Does the 45 Days Mean on the Short Sale Addendum? The short sale process is grueling for buyer and seller alike. A seller must present his lender with extensive financial hardship documentation and a buyer must wait out and successfully negotiate sale terms with the seller's lender. Several circumstances and events can derail a short sale deal before or after lender approval. A buyer or seller may cancel a short sale transaction without consequence depending on the terms agreed upon in the purchase agreement. A short sale deal is subject to lender approval of the sale terms and listing agents are obligated to disclose this condition when marketing the home. Because the seller's lender agrees to take a loss on its loan, it effectively sets the standards of the sale in terms of price, closing date, who can buy the home and whether the home goes to foreclosure instead. A lender approval clause is added to the contract with an addendum and the buyer must agree to it in order to have a chance of getting the home. The clause allows a seller to back out of the transaction if his lender does not approve the sale. Because the short sale approval process is often long, drawn out and lender approval can't be guaranteed, the buyer can back out if it takes too long. He can include a clause in his offer that stipulates a maximum amount of time he's willing to wait for lender approval. Short sale response times vary between a minimum of 30 days to several months and even a year in some states. A buyer can walk away from the transaction if the lender fails to respond or approve his offer within the time period specified in a short sale addendum. A buyer can place contingencies in his contract that allow him to back out after short sale approval if the home fails to meet expectations. The most common contingencies buyers write into the contract involve financing, appraisal, title and property condition. The contingency limits the amount of time a buyer has to get a loan; obtain a satisfactory appraisal; research the property's title history, including liens; review seller disclosures of property conditions; inspect the home and review homeowner's association documents. A contingency period may last a few days to several weeks. The buyer may have to pay liquidated damages or forfeit his deposit if he backs out after contingency periods expire. 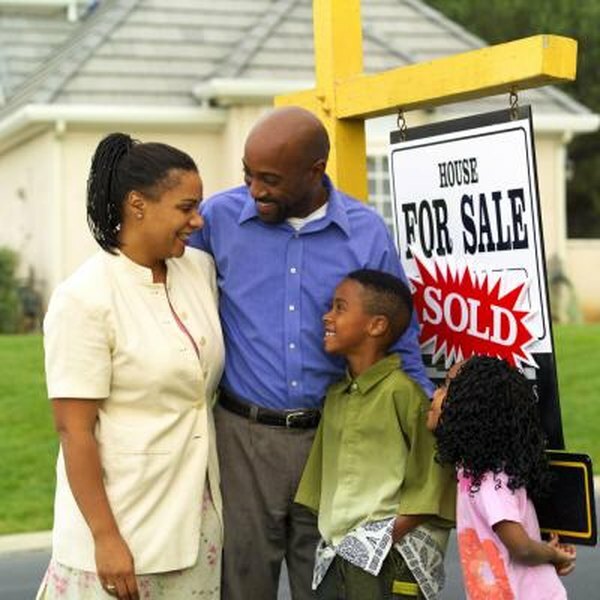 A buyer agrees to forfeit his earnest money deposit upon backing out of a short sale if he fails to close on time. Time is of the essence in any real estate transaction, especially short sales. Lenders set closing deadlines, which if not met can mean the difference between the seller settling his mortgage debt or undergoing foreclosure. In general, a buyer can't make a seller sell his home through a short sale if the lender's terms are unfavorable or too stringent for the seller. For example, a seller may choose not to proceed if his lender requires him to contribute a lump sum at closing or pay back all or a portion of the debt after closing.